Colton has been on a quest to find lasting love since dating Becca Kufrin on Season 14 of The Bachelorette. So did the 26-year-old charity founder and former professional football player end up with a fiancee by the end of his The Bachelor edition? 12/21 SPOILERS UPDATE: PRIOR ALLEGED ENDING TO COLTON 'THE BACHELOR' SEASON WAS WRONG, SEASON 23'S FINALE IS EVEN MORE SHOCKING! According to Reality Steve spoiler blogger Steve Carbone, Colton is in fact engaged to the winner of Season 23, and the lucky woman who received his final rose was Cassie Randolph, a 23-year-old teacher and speech-language pathology grad student from Huntington Beach, CA. The Bachelor host Chris Harrison said Cassie has "the brains" and is "sweet and beautiful." Carbone had been hearing Cassie is Colton's winner since mid-October, writing in his blog that he would be "stunned" if she didn't receive his final rose. 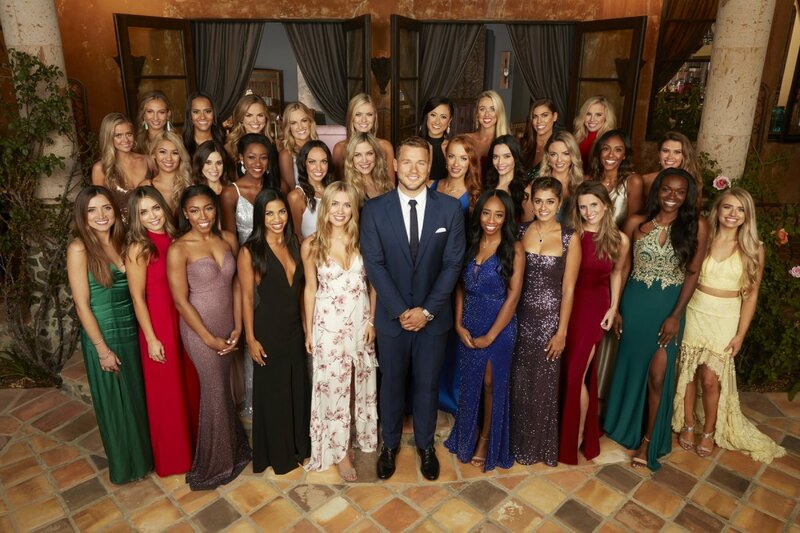 What is the shocking finale ending to Colton Underwood's 2019 season of The Bachelor? However, Colton allegedly did not give Cassie his final rose in the traditional sense at the Final Rose Ceremony during which a Bachelor typically dumps his runner-up bachelorette moments beforehand. Carbone reports that after Colton embarked on only two of his planned three overnight Fantasy Suite dates in Sagres, Portugal -- the first with Tayshia Adams, a 28-year-old fitness instructor from Newport Beach, CA, and the second with Cassie -- he decided he wanted to pursue a romance with only Cassie. In a Bachelor first, Colton therefore had his mind made up before finishing out his round of overnight Fantasy Suite dates, which means the other woman in his Final 3 -- Hannah Godwin, a 23-year-old media manager from Birmingham, AL -- missed out on a Fantasy Suite date. Once both girls were eliminated, Colton allegedly proposed marriage to Cassie, although the time and place of their engagement remains unclear. "This season is pretty outrageous," Harrison recently teased to Entertainment Tonight when asked about how unconventional Season 23 will be. "There's twists and turns this season unlike anything we've ever had before, and that's just because of who Colton is, things that happen on the show, things that he brought out, the women. So it's a wild, emotional ride, for sure." Tayshia's overnight date with Colton reportedly filmed on November 6 near the famous lighthouse on Cabo de Sao Vicente. Tayshia draws blood for a living, volunteers at her church and loves to go wine tasting. Harrison has said Tayshia is "drop dead gorgeous" but has "the brains to back it up." He also said she's "the life of the party" and found some serious chemistry with Colton. As for Hannah, she is a southern belle who serves as both the model and photographer for her booming social media accounts. Hannah graduated from the University of Alabama in 2017 with a B.A. degree in Communications and Information Sciences. Moving on to November 8, Colton filmed his overnight date with Cassie, according to Carbone. "A decision was made on this overnight, or maybe the next morning when he woke up... that Cassie was the one he wanted to be with," Carbone wrote in his blog. "I'm sure she thought they were [going to] go on one, but at some point after his date with Cassie, he told Hannah that Cassie is the one he's in love with, wanted to pursue, and sent Hannah home. He also told this to Tayshia. I'm not sure what order he did it in." Harrison recently told E! News that Bachelor Nation is going to respect the fact [Colton] was "so open, so vulnerable, so emotional" during his journey. "It's a pretty gut-wrenching, wild ride with him... Is it the most dramatic? I don't even really need to pump this season up that much because of what you're about to see. I'm excited for everyone to get to see him for who he really is -- the man." Carbone initially thought the Final Rose Ceremony filmed on November 15 in Spain, but he now admits he could have been wrong and Colton may never have taped a formal Final Rose Ceremony. In fact, Colton and the cast may never have traveled to Spain at all. Who is the fourth Colton Underwood bachelorette that got a Final 4 hometown date with The Bachelor star? Carbone also predicted Caelynn Miller-Keyes, a 23-year-old pageant queen from Asheville, NC, who finished in fourth place on Colton's The Bachelor edition, will become the next The Bachelorette star for 2019. Caelynn was reportedly eliminated on November 3 at the Final 4 Rose Ceremony held in Los Angeles, CA, following the women's round of hometown dates that were filmed between October 27 and November 2. Since filming allegedly wrapped early on The Bachelor, it's unclear how ABC will alter its broadcast schedule for Season 23, which premieres Monday, January 7 at 8PM ET/PT. In all prior 22 seasons of The Bachelor, a show's star has always had two women approach him at the Final Rose Ceremony, leading up to his final decision. "Not only do we not have a Final Rose Ceremony with two women, we don't even have a FINAL THREE Rose Ceremony this season, since Tayshia and Hannah were eliminated by Colton before it even got to that point," Carbone alleged. "Only on The Bachelorette have we seen them be able to eliminate their Final 2 guy before that final day." In five of the last nine The Bachelorette seasons, the Final Rose Ceremony just featured one guy showing up and receiving the final rose. Ali Fedotowsky let Chris Lambton go early, Emily Maynard eliminated Arie Luyendyk Jr. ahead of time, Desiree Hartsock ousted Drew Kinney before the final ceremony, Andi Dorfman broke Nick Viall's heart sooner rather than later, and Rachel Lindsay eliminated Peter Kraus early. If Carbone's reporting proves to be accurate, The Bachelor will have a lot of footage missing from Season 23 such as Hannah's overnight date, the Final 2 women meeting with Colton's family, and the Final 2 women's last one-on-one dates with Colton in an exotic setting. Sean Lowe on 'The Bachelor' star Colton Underwood: Virginity hype must be frustrating, it's "overkill without question"